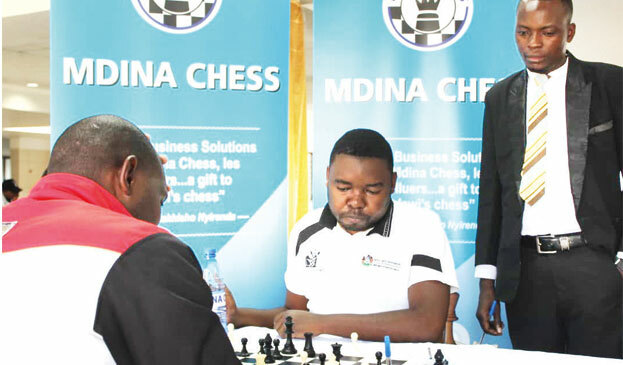 Chess Association of Malawi (Chessam) has suffered a setback following delays by South Africa-based Malawian sponsor, Tiwone Mdina, to enter into a new partnership agreement with the association to continue bankrolling the Mdina International championship. Mdina had announced some two years ago that the 2019 edition of the championship will be the last. However, Chessam’s new executive committee made efforts to entice Mdina for continuation of the sponsorship by drafting a new partnership agreement which he is yet to commit to. The development comes at a time when Chessam was hoping to stage this year’s Mdina championship on April 18. Mdina said it was difficult to commit to another partnership when he was not sure of the current committee’s programmes. “We have not been told about the new executive committee officially. We were only served with a partnership agreement which we felt was not necessary at this point. We need to align ourselves with an association whose vision and objectives are similar or close to what we are looking for. “Of course we gave Chessam a two-year notice that we will withdraw our sponsorship because the brand had saturated and needed a break. But then there is nothing that will bind us if we decide to pull out now,” he said. But Chessam Publicity Secretary, Alfred Chimthere, downplayed the issue saying the partnership was intact. “Our partnership has always been intact. Of course we would have loved if we had staged the competition during the weekend of April 18, and there is a committee which was set up to organise it. “But they are yet to come up with the prize structure and format. There was a suggestion from the sponsor that he would like the winner to pocket K1 million, so the committee also has to consider this,” Chimthere said. Joseph Mwale is the current champion of the championship whose 2018 edition attracted top players from neigbouring countries such as Mozambique and Zambia.